What's included in your Keepsake Video Highlight Package? - Fully produced 5 to 10 minute personalized highlight video to include music and graphics. - All pre-season, game highlight and "hype" videos that we produce for the team during the season. 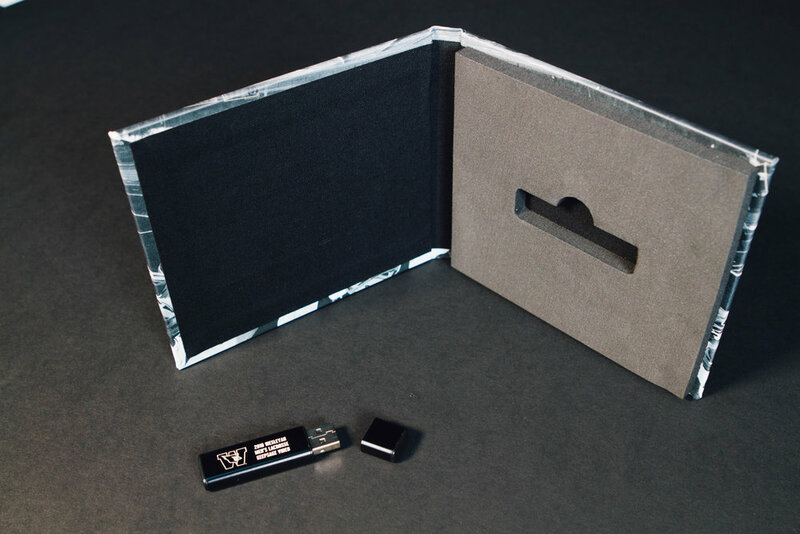 - USB drive with all videos loaded onto the drive and packaged in a custom USB folio. To purchase your own personalized Keepsake Video Highlight Package for only $269, please click on the button below. What is a Keepsake Video? A keepsake video is an ideal way to remember the 2018 National Championship Season of lacrosse at Wesleyan University! As with our athlete highlight video, we assemble clips from game play that we recorded during this historic season and produce this 5-10 minute personalized highlight video. Music and graphics are included with this video that adds value for years to come. 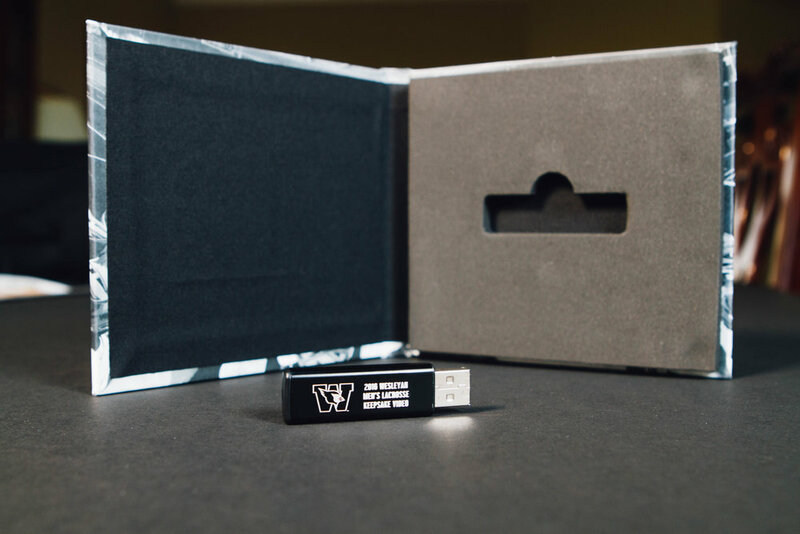 Your personalized keepsake video along with the other team videos that we produce during the season are included in the Keepsake Video Highlight Package. Q1.) Does the personalized highlight video feature all players on the team or does it just feature the individual player. A1.) This video features the individual player with clips of that player from game footage that we film from the field level camera position. Each Keepsake Video Highlight Package will include this personalized, individualized player highlight video. Please refer to the example video above. Q2.) What are the other videos that are included in the Keepsake Video Highlight Package that you talk about in the description? A2.) During the course of the season we published highlight videos from many of Wesleyan Men's Lacrosse games and will include the pre-season video and any of the "hype" videos that we produced for the team. All of these videos will be included in the Keepsake Video Highlight Package. Q3.) When can we expect to receive our copy of the Keepsake Video Highlight Package? A3.) We will begin producing these Keepsake Videos following the completion of the season. It is our intention to have these Keepsake Video Highlight Packages completed and delivered within a month after they are ordered. Have additional questions about our Keepsake Video Highlight Packages that are not addressed above? Please click on the button below to submit your question directly to us and we will respond with an answer. Thank you! Thank you for submitting your keepsake question! We will respond very shortly.